Who wants some fresher air, more peaceful and more spacious surroundings, and the quaint lifestyle that accompanies the community. When we talk about what it’s like living in the South of Metro Manila, these and more are almost sure to be brought up. It’s undeniable that staying down South comes with its perks and privileges. Find that space away from the hectic pace of the urban jungle, a colorful home in the South, with Rockwell Primaries’ first property in the area, East Bay Residences. Ideal for newlyweds, young families, and even growing families to settle in a comfortable new home, East Bay gives you many reasons to be excited about staying south of the metro. 1. Enhanced Southern living through the Rockwell brand – Known for providing exclusivity, innovation, and unparalleled quality, the Rockwell heritage bleeds through the soon-to-rise community in East Bay. With the utmost standards in building livable spaces and offering reliable services and facilities, Rockwell Primaries is here to paint the South with its signature of excellence. 2. Be where you need to be and close to the places that matter – Located along East Service Road in Sucat, Muntinlupa, East Bay is nestled in the heart of key commercial and recreational establishments around the Muntinlupa and Paranaque area. You won’t be too far from the central business districts, and weekend out-of-town getaways will be very much convenient for families and friends. 3. Easy access to premium convenience and leisure with the retail row and amenities – Livable spaces means having everything you need at your doorstep. The retail row will house dining and shopping establishments to ensure your family doesn’t have to go far from home to enjoy. A clubhouse, gym, floating corridors, and lots of open green spaces will exude that outdoor, homey vibe the South brings. 4. Allow your family to create wonderful and memorable experiences every day – That warm, inviting home families strive to build with an eye for the future is possible with the different unit sizes available at East Bay. Choose among the Junior 2BR (44-48 sqm), 2 BR Prime (70-73 sqm), and 3 BR Prime (98 sqm) to fit your growing needs and passions. Explore living arrangements that best suits the family. 5. Unique and exciting living spaces that you can call home – Special bi-level garden units are still available for those who wish to elevate the standard of their home. The exclusivity in owning one can make your modern home all the more special. 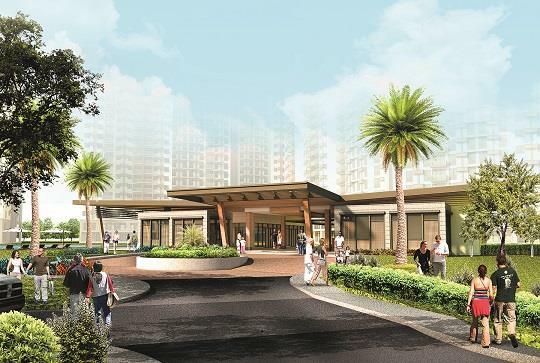 Rockwell Primaries, a subsidiary of Rockwell Land, aims to elevate lives by creating best value quality homes modern Filipinos can be proud of, with its two on-going properties: The Vantage at Kapitolyo and East Bay Residences. Visit the East Bay Residences model unit at Km 21 East Service Road in Sucat, Muntinlupa. For more information on Rockwell Primaries projects, visit www.rockwellprimaries.com.ph or call 828-9888.